Collaboration Cafe "Snoopy Museum Exhibition x CAFE Lab." Appeared! 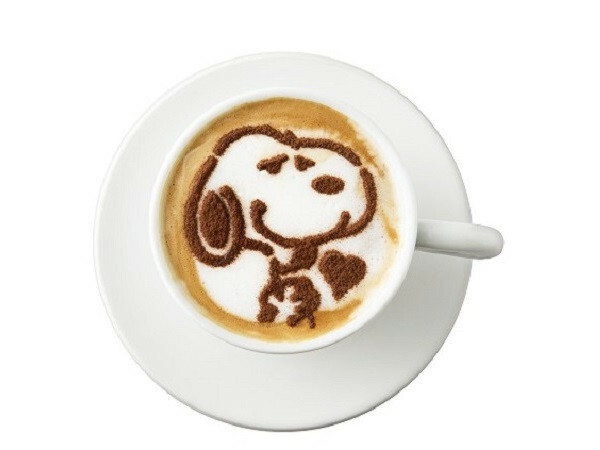 A Collaboration Café with Snoopy "Snoopy Museum Exhibition x CAFE Lab." Will be opened from April 13 to June 16 at Knowledge Capital "Cafe Lab" on the 1st floor of North building of Grand Front Osaka. This collaboration cafe is a joint project with the exhibition "Hello Osaka! The Best of Peanuts has arrived. The Snoopy Museum Exhibition", which is also being held at Grand Front Osaka. It offers 6 dishes only available here. 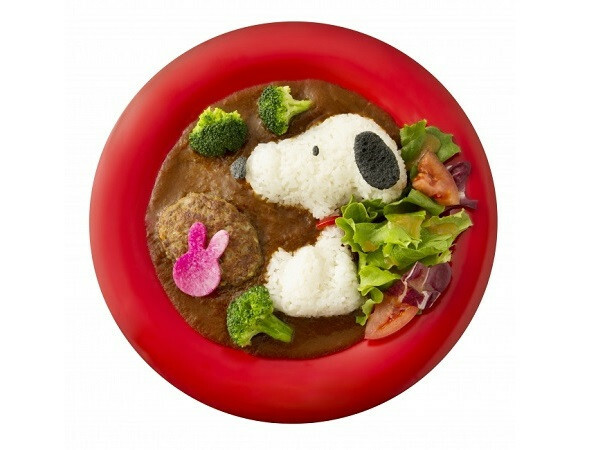 "Snoopy and the rabbit friendly curry" 1800 yen (tax included) is a lovely dish that displays Snoopy and a rabbit that became friends at the day of rabbit hunt on the beef curry with beef patty. "Snoopy Takoyaki Dock & Potato (with Peanut Mustard)" ¥ 1200 (tax included) is a unique dish featuring Osaka’s popular food Takoyaki sandwiched on natural yeast bread. 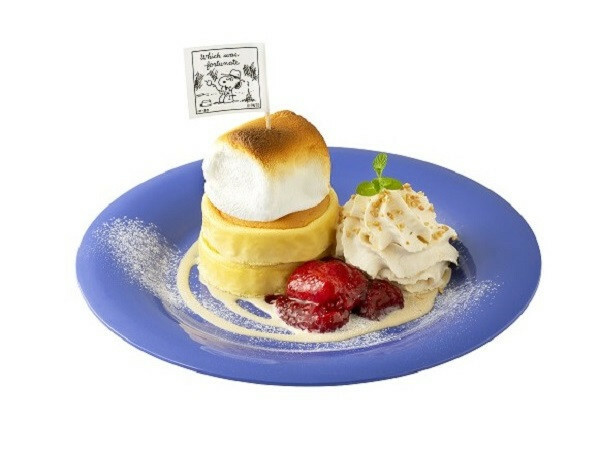 Other dishes and drinks are also featured the unique characters of Snoopy such as "Spike grilled marshmallow & peanut pancake" 1,500 yen (tax included), "Lovely Snoopy latte" 700 yen (tax included), "Starry night and Charlie Brown (mango tapioca & nata de coco)" 900 yen (tax included) and "Snoopy Hot Dock & Potato (with Peanut Mustard)" 1200 yen (tax included). Please enjoy the lovely collaboration café and "Snoopy museum exhibition" together! Give PR TIMES.com a Like on Facebook to access the latest information on Japanese trends! "J.S. BURGERS CAFÉ" Offers "Edo with American" Fair! "Filterable Water Bottle with a Bottle Cover and Active Belt" Appeared with Limited Numbers! Special Baked Sweets with Rare Fruit "Shonan Gold"! 45th Anniversary of Hello Kitty! Classic Hello Kitty are Back! Have a Luxury Afternoon Tea at Tokyo Station Hotel in GW! "Azalea and Rhododendron Fair 2019" will be Held at "Hotel de Yama" ! New Luxorious Eclair Shop "BISPOCKE" Opens in Kobe! Hotel Haonari Offers "Flower Tour with Spring Edition" at GW! "SAKE FESTIVAL" with Spring Featured Sake is held in Shinjuku! Exhibition of Snoopy x Science Art is held in Yokohama! "Congratulation! Reiwa Rubik's Cube" Releases to Commemorate New Era!